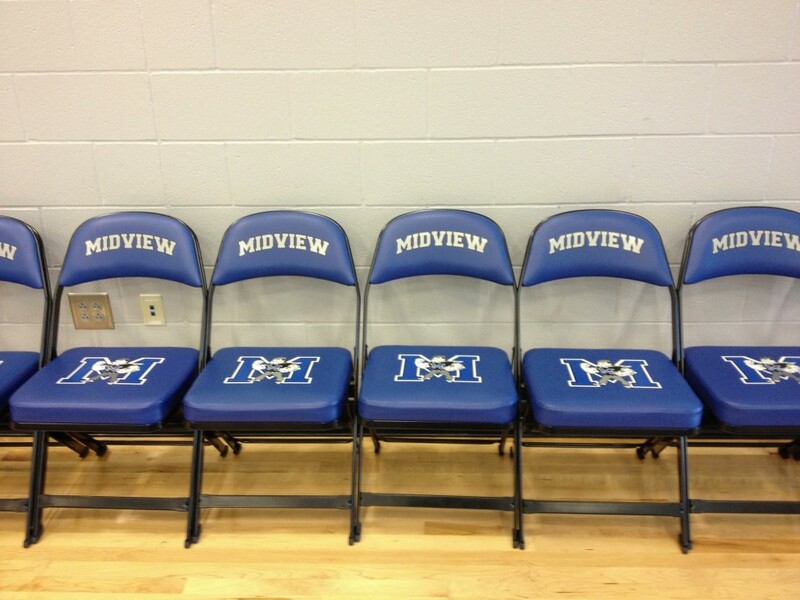 Is your school or team looking for Padded Logo Folding Chairs? From the number one seating supplier in the country? Made in the U.S.A.? Time to upgrade the locker room or sidelines? Do you also want your teams logo to stand out instead of just “there” on the chair? Look no further than Athletic Seating ! We offer the entire quality seating your team or school needs from Hussey Seating. Check out our website models for a partial listing of whats available. But in addition to the top of line chairs by Hussey, we offer a quality second to none in logo printing. Our exclusive process makes your teams name and logos make the Logo Chairs and Logo Stools almost a “work of art”! They almost look too good to sit on! But use them all day, every day. The Hussey chair is built to take it, and The high quality logo printing will withstand almost anything…and remain that way! If its Sideline Chairs, Locker Room chairs, Logo Stools, Storage Carts, even Slip Covers for existing chairs, give us a call at Athletic Seating.